Lithonia Lighting LED wraparound flush mount in white color, features metal housing. 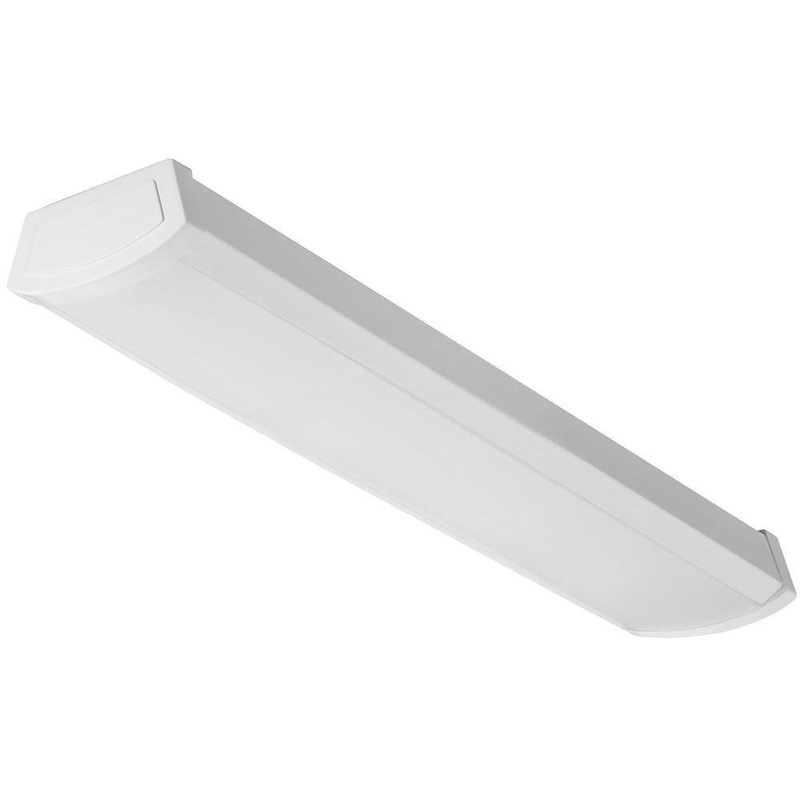 LED Wraparound flush mount in linear shape, uses 20-Watt lamp that has voltage rating of 120-Volts. Lamp has color rendering index of less than 80 and color temperature rating of 4000K to ensure optimal light level in the surrounding. Lamp has average life of 50000 hours. Lamp offers 1200-Lumens of bright light output. It measures 24-Inch x 5.5-Inch x 2-3/5-Inch. White acrylic diffuser shade creates soft light to the surrounding. It is ideal for replacing 2-light fluorescent T8 or T12 wraps. Built-in LED technology eliminates the need for bulb replacements. LED wraparound flush mount is UL/cUL listed and Energy Star certified.